Suite - Air-conditioned suites have two lower beds that can be converted to a queen-size bed. In addition to a shower, sink and toilet, bathrooms have a whirlpool bath and include bathrobes and slippers for use during your cruise. A separate lounge area has a sofa, chairs, table, writing desk, mini-stereo, TV, radio, telephone, refrigerator, and tea/coffee-making facilities. There are also a safe and a hair dryer. Suites feature magazine and newspaper selection, a fruit bowl, mineral water, flowers, daily canapés, and a special Fathom welcome gift on arrival. 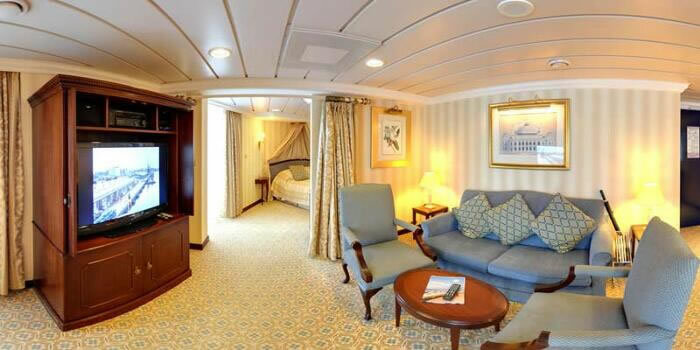 Balcony (B1)- Air-conditioned balcony cabins have two lower beds that can be converted to a queen-size bed. Floor-to-ceiling sliding glass doors lead to a balcony with recliner chairs and table. 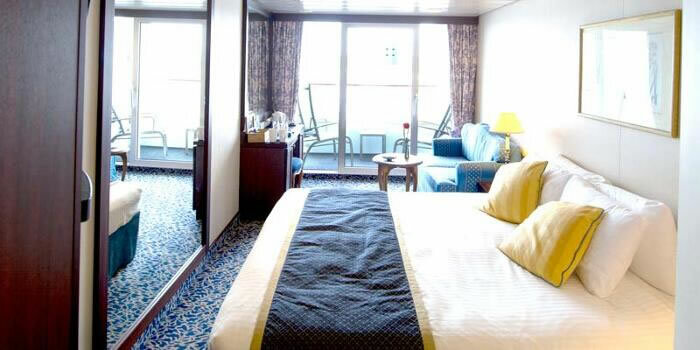 Ocean View (O2) - Air-conditioned outside cabins have two lower beds that can be converted to a queen-size bed. Bathrooms have a shower, sink and toilet. There are also a writing desk, TV, radio, telephone, safe, tea/coffee-making facilities, hair dryer, and ample wardrobe and drawer space. 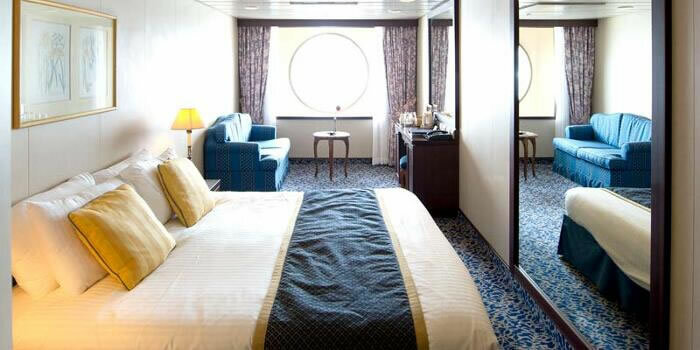 All outside cabins have either a window or a porthole.